Who does not want the best version of themselves? We are constantly looking for ways to improve ourselves, physically and mentally, to achieve a healthier body and a sharper mind. As part of a healthy, better version of themselves, people increasingly want a brighter smile and healthier teeth. 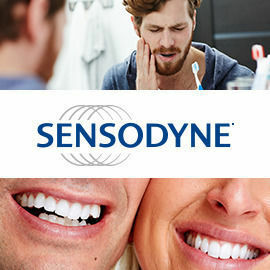 Sensodyne is the global market leader in the dental sensitivity category, and they provide a range of premium toothpastes around the world. Looking into the future, they would like to come up with a new solution, more innovative, more convenient, and more effective for sensitive teeth, and ideally different to anything that has been done before. As good ideas can come from anywhere, they would like to ask you: can you help improve the daily lives of people suffering with dental sensitivity, whilst giving them a smile they desire? Project yourself into 2025 and create a breakthrough new solution to help adults take care of their dental sensitivity to be the best version of themselves. FORMAT: Presentation with text and visuals, 3-4 pages maximum (see template).